Beautifully captured studio recording of this long standing trio with each musician playing at the height of their powers. Winter 2005. Drab dark days. Grew Trio in a studio with an expert and sympathetic recording engineer, intent on doing something different. An evening to set up, a day's work to build up, then the first feel of spring growth and the urge to reproduce. It's morning, time to make things be counted. Fertility, spark, energy, nurturing. Creativity caught: five years' development of the group with its present members. Eight pieces blending persistence and diversity. Opening with the title track, a compelling tympanic piano-percussion duo, track 2 has almost a theme and variations form with a neurotic bassoon. Muscular grunting as part of track 3 possibly suggests the wish to be off To the woods (track 4 which is contiguous) where some very atmospheric things happen. Tracks 5 and 6 are also joined (bassoon percussion duo which has a hungry feel, linking to interesting cave and little beasties textures. Track 7 is a well sectioned and intense free jazz revel, and track 8 ushers out the session in a lighter playful mood. A fascinating tale all round. Three quarters of an hour of pretty intense stuff. Enjoy! "Part of the intimacy can be ascribed to the band members’ five-year history together and their many tours. Not that this is the members’ exclusive improvising outlet. Part of Manchester’s free music scene for nearly 20 years, drummer Marks is also a member of the band Bark! with guitarist Rex Casswell and sampler player Paul Obermayer. Beck, who recorded a fine duo session with Grew on Bruce’s Fingers, regularly plays with drummer Paul Hession and bassist Simon H. Fell. 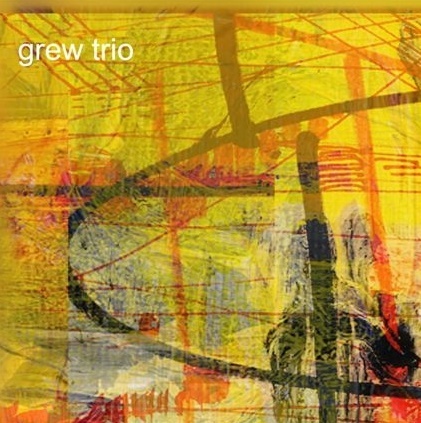 As for Grew, whose keyboard voicings here sympathetically focus on clarity and melodic episodes, he’s a former visual artist, whose move to Lancaster 12 years ago convinced him to redirect his energies into music. Since then he has developed own language of scales and patterns, created music for a dance company, and played with saxophonists as different as Lol Coxhill and Andy Sheppard. Although Grew’s piano is frequently as prepared, pulled, and propelled as Werchowska’s, when using conventional techniques, he defaults towards hyper-kinetic, almost boogie-woogie and stride configurations. In some cases these melodic fills are used as a base on which to counter the snap of Marks’ drums or his cymbal resonations. Other times rapid cadenzas rattle the soundboard as well as the keys. Duetting with Beck’s tenor saxophone, Grew’s jumping external keyboard arpeggios and plucked wound internal strings bring forth double-tongued undulations and muscular, split-toned grunts from the reedist. More memorable are the three penultimate tracks—“Getting Hungry” and “For Stalactites”—which run into one another, and the second-to-last “Midnight Revels”. Eerily reprising the heights of energy music, the last piece showcases snorting tenor saxophone lines studded with repeated double-tongued groans and split tones. Rocketing to altissimo pitches and diving to glottal growls, the reedist’s zeal is equaled by Grew, who after a few showy glissandi pumps out flowing cadenzas of curlicue lines. Meanwhile the drummer rolls, rebounds, and stays out of the way.